Nat King Cole Sings for Two In Love is a 1955 album by Nat King Cole, arranged by Nelson Riddle. 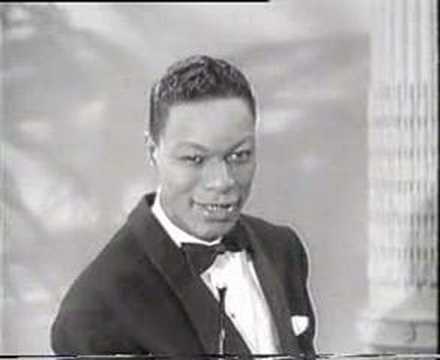 Nat King Cole Sings for Two in Love was Nat King Cole’s first album made specifically for the new 12″ LP format. Like Frank Sinatra, with whom he shared a record company and a conductor, Cole made a thematic album with Sings for Two in Love, in this case a set of 12 romantic ballads. But they aren’t actually all for “two in love.” There are songs for two who think “This Can’t Be Love” or that it’s “Almost Like Being in Love,” or who tell each other “Let’s Fall in Love.” And then there are post-love songs — “Autumn Leaves” and “Dinner for One Please, James.” If Cole really is singing for “two in love,” he’s giving them good news and bad. Of course, his plaintive, undisturbed singing makes the happy and sad sentiments seem equally content, and Nelson Riddle’s orchestrations consistently support the singer without challenging him or getting in his way (https://goo.gl/HPYKdk).